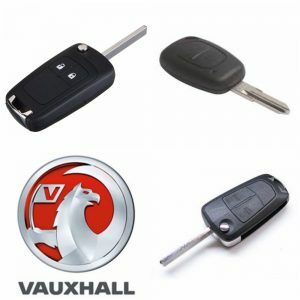 We offer replacement car keys for all makes of car including the Vauxhall range of vehicles. The Vauxhall Insignia Has a choice of two remote keys (the remote keys is a key with buttons on for the central locking) it is either a two button key … lock amd unlock or a three button key … lock, unlock, and boot buttons. We carry both types of insignia keys in stock, so this means we can provide you with a replacement car key today. As mobile car locksmiths we carry everything on our vans to cut and program replacement car key to the vehicle immobiliser system, and we can provide you with a key to fit your vehicle even if you have lost all of the keys to the car, along with opening the car if it is locked. if you need any Vauxhall car key or an Insignia key give us a call 07813 802039 you will speak directly to an experienced car locksmith and we will be happy to offer advice or a quote.